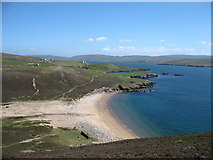 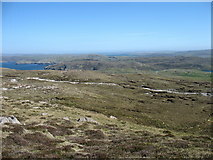 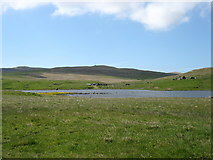 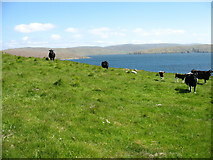 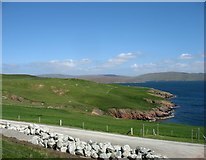 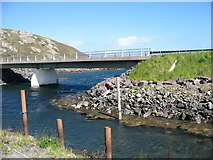 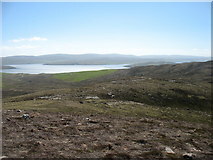 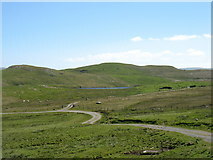 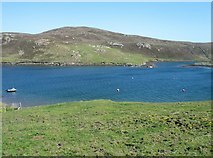 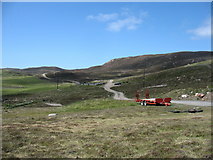 Muckle Roe is an island, about 5 km (3 miles) in diameter, on the west coast of Shetland Mainland, to which it is connected by a short bridge. 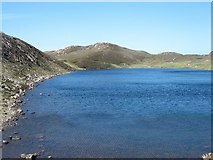 This trip comprises two walks with short car journeys between them and after the second. 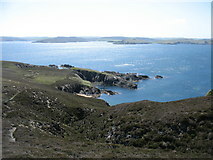 The first walk was to Mid Ward (the highest point on the island) and the second to the Hole of Hellier. 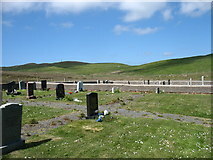 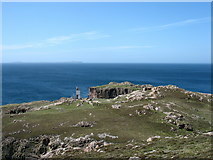 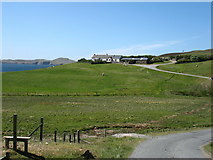 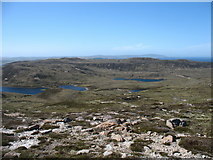 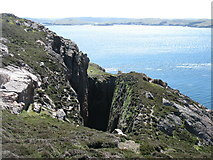 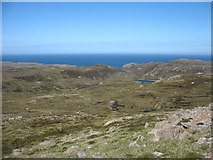 From the slopes of South Ward on Muckle Roe. 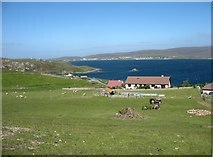 Much of the island of Linga [[HU3563]] can be seen beyond. 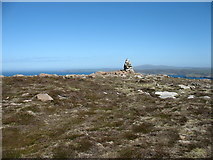 Looking towards the transmission mast on Steinawall.